This may look like any other cute Chocobo plush, but according to Square-Enix, this one has an extra special feature. 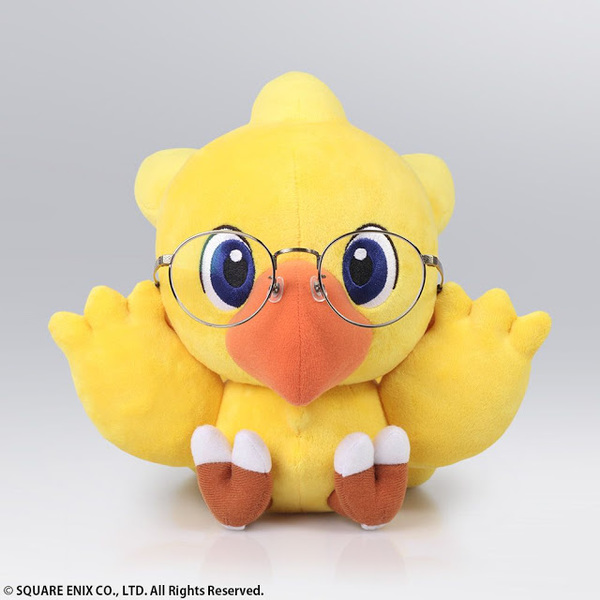 They're calling it an eyeglasses stand, as apparently, it's safe enough for you to rest your glasses over Chocobo's eyes. I mean, can't you technically do this with most plush dolls? I guess this one was specifically made with glasses storage in mind...or so Square-Enix says! This plush will launch in Japan sometime in May 2019. I mean, the alternative to this is putting your glasses on something that ISN&apos;T an adorable Chocobo. And that just will not stand.